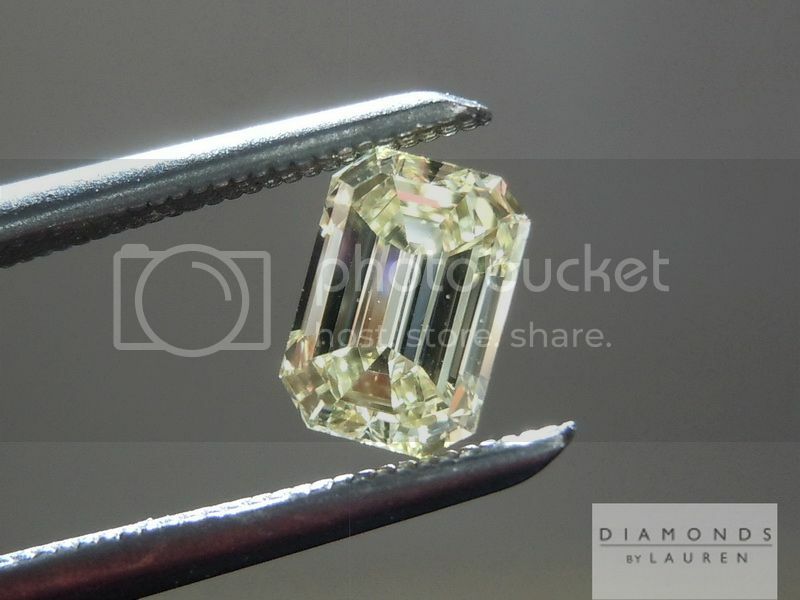 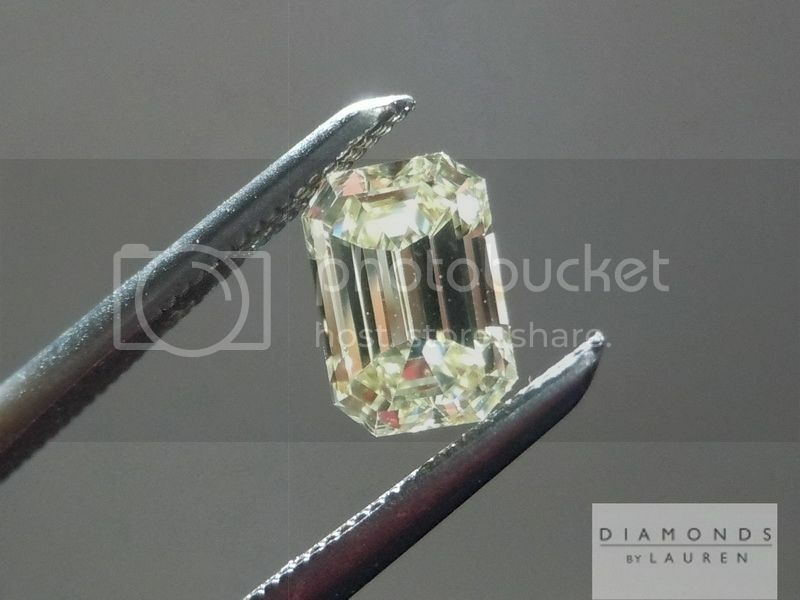 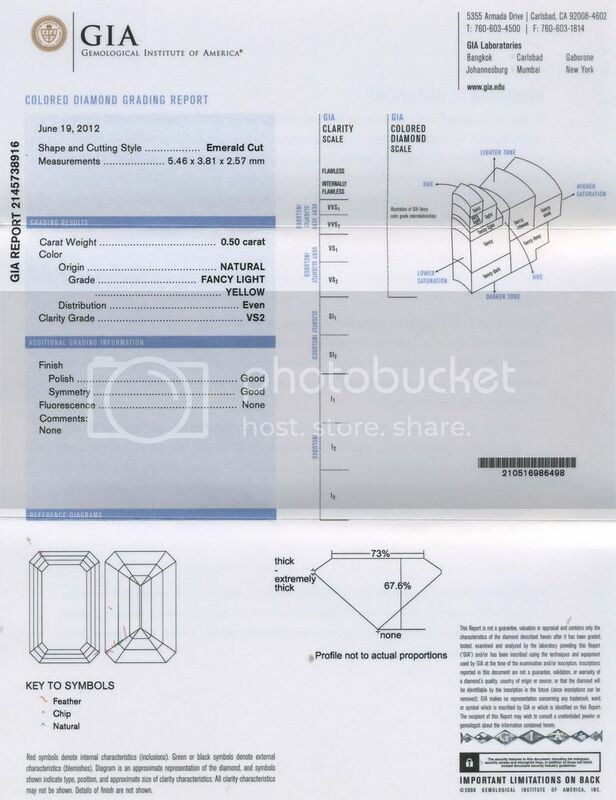 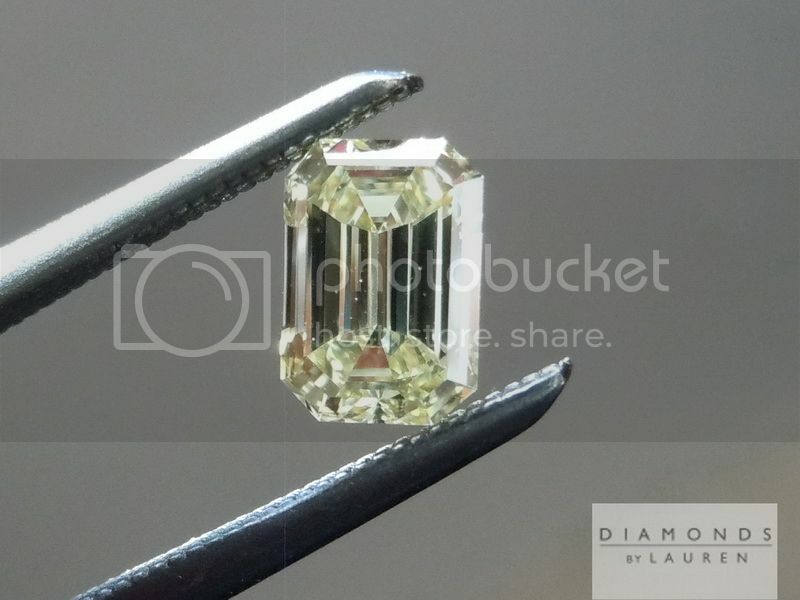 Why are emerald cuts rare in natural yellow diamonds? 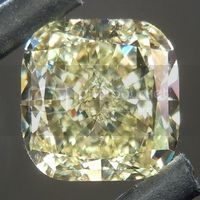 It has to do with the way a diamond handles the light. 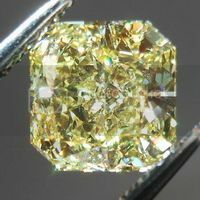 The more the light bounces around before it exits back to your eye, the more yellow color it picks up. 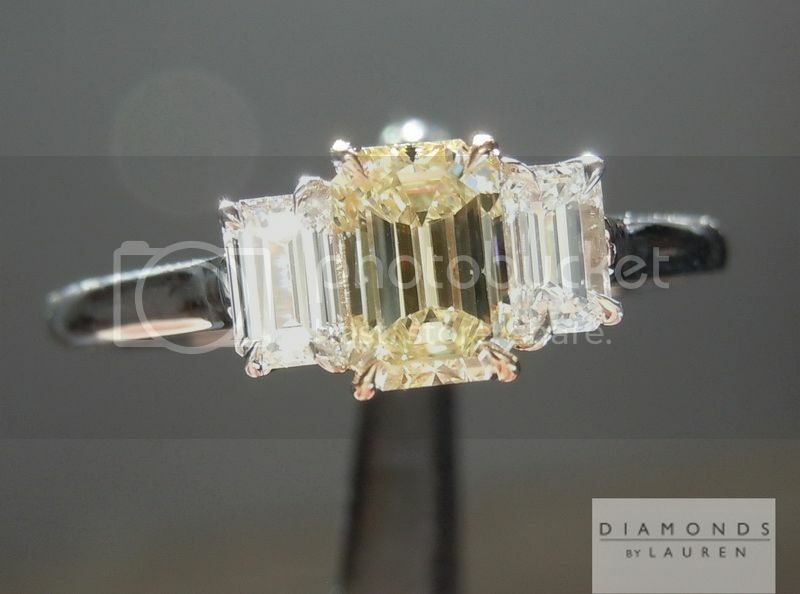 A emerald cut, by its nature, gets the light in, and reflects it back out very quickly. 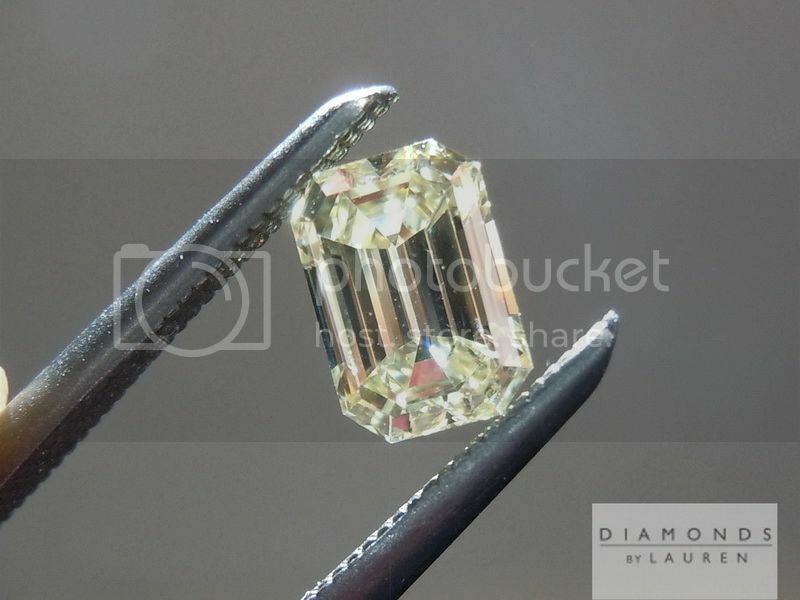 The result is that you can see right into an emerald cut - as opposed to a radiant, or fancy colored cushion where you see so many sparkles that you can't see the actual facet lines. 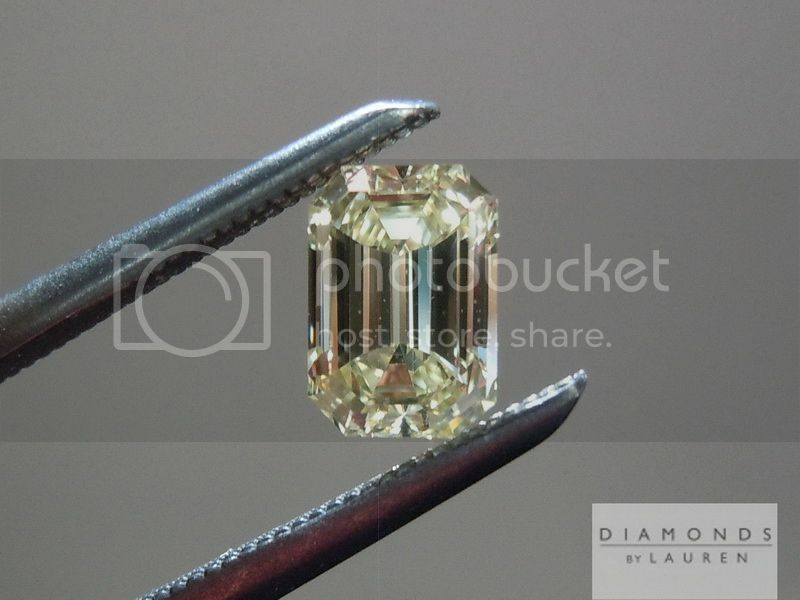 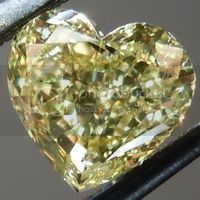 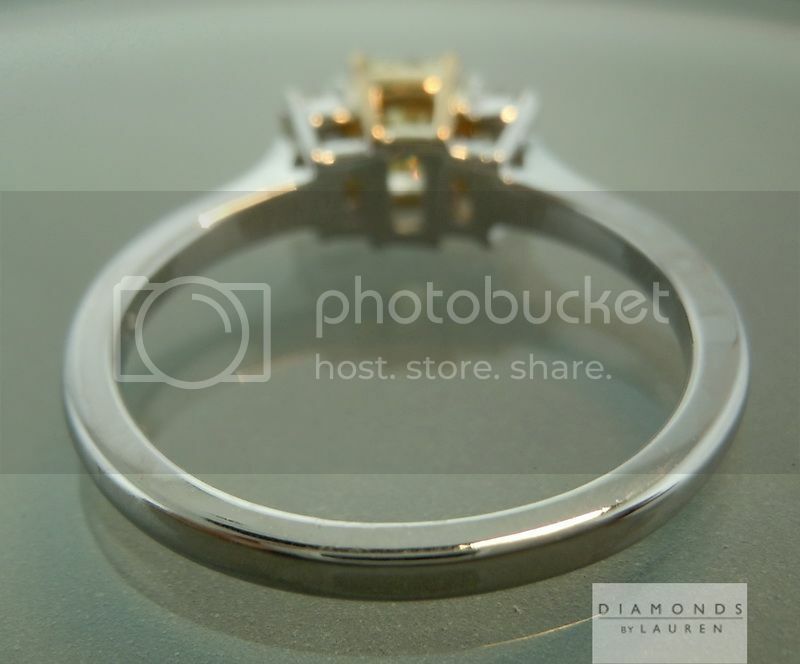 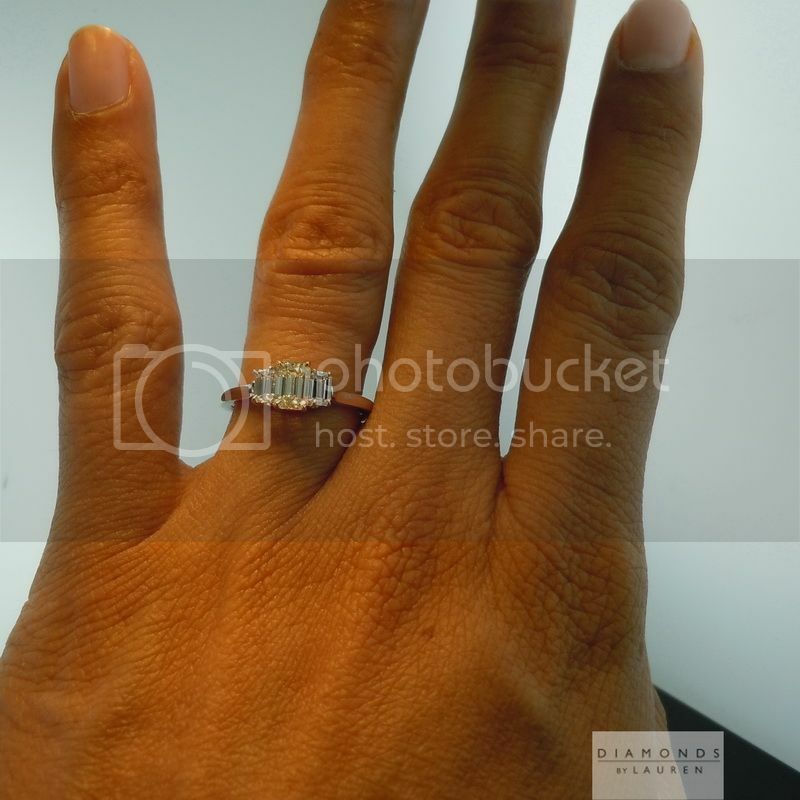 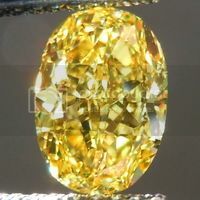 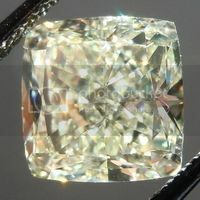 This diamond has enough natural yellow body color that it really does show it's color. 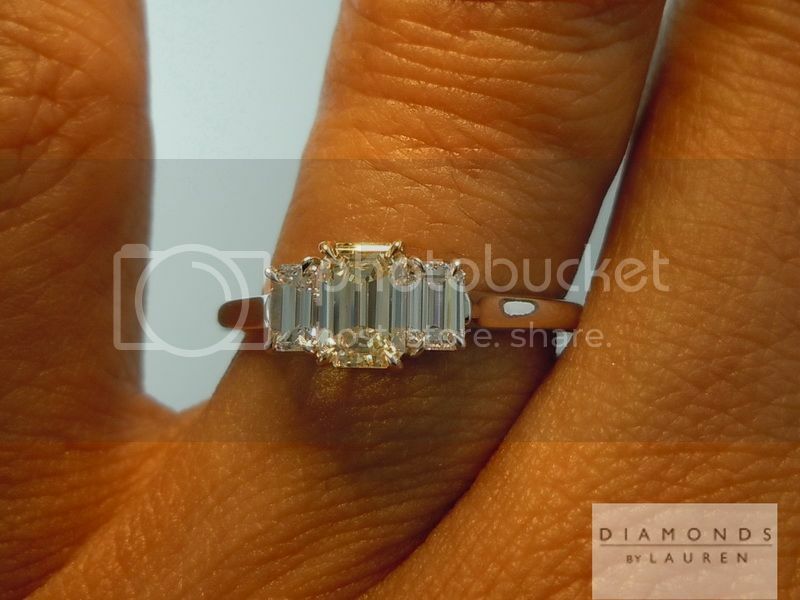 The steps are distinct and the shape elegant. 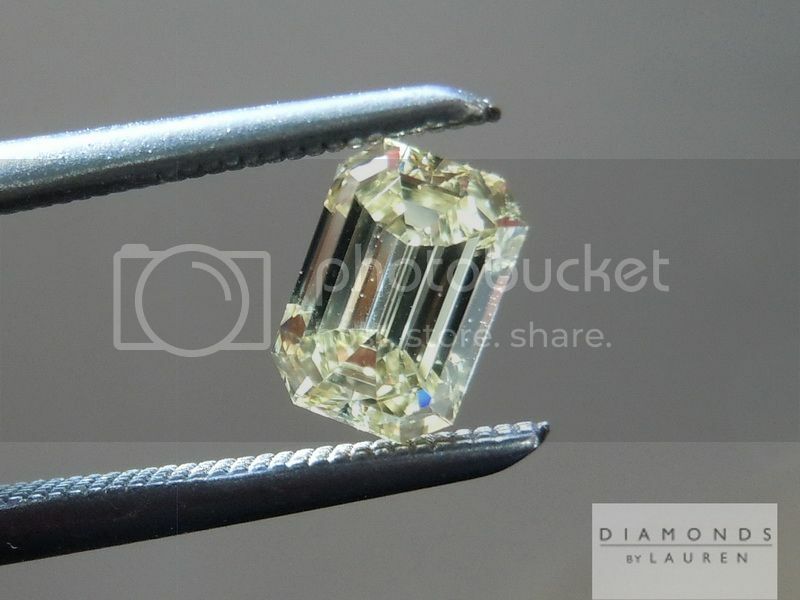 The diamond is an eye clean VS2. 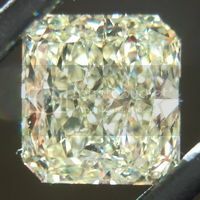 No fluorescence - overall a rare and desirable diamond. 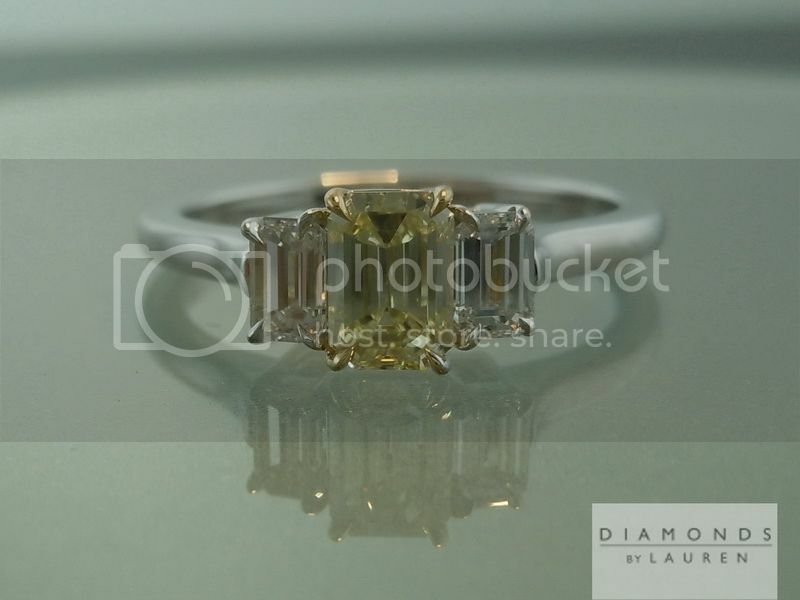 For this stone we selected two diamonds, complimentary in shape, and contrasting in color. 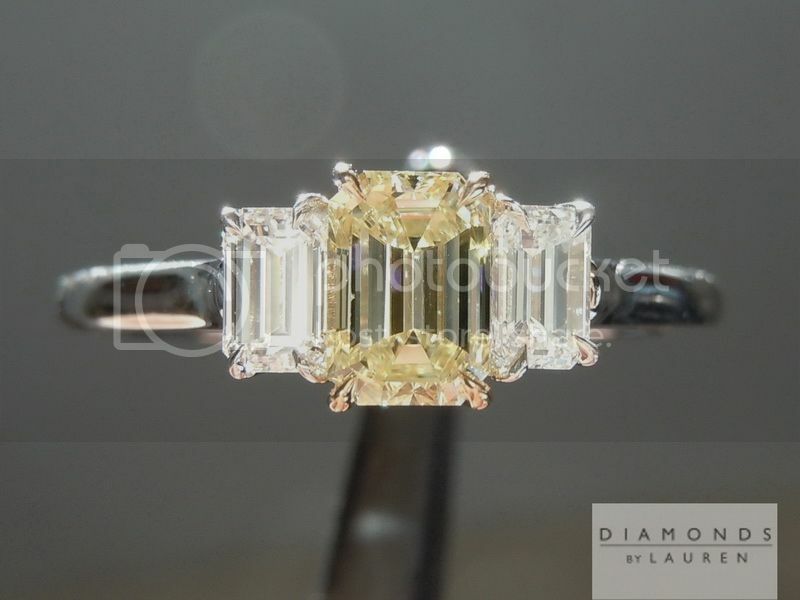 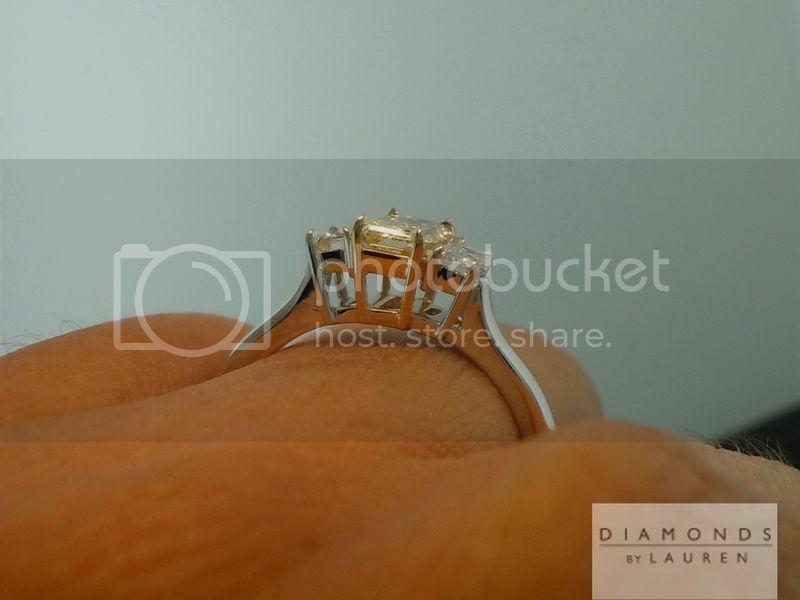 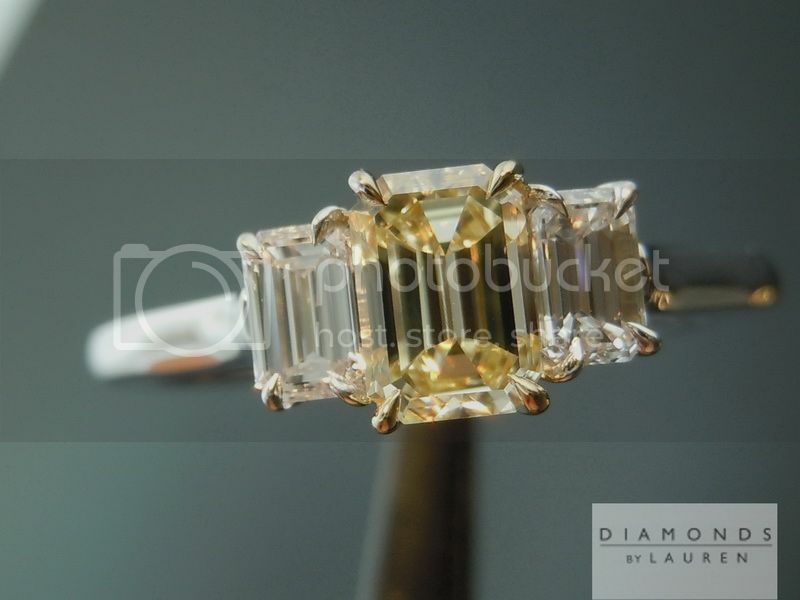 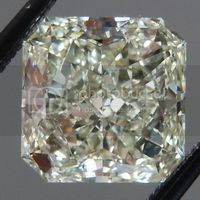 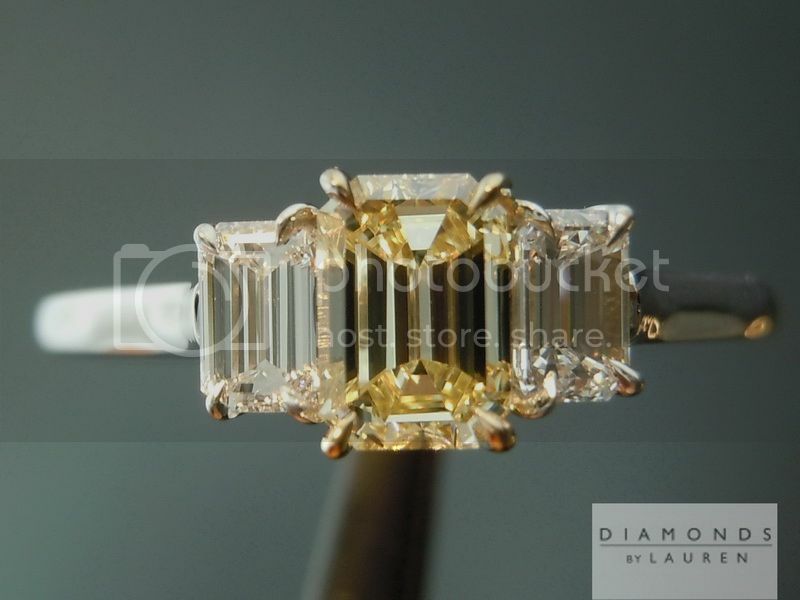 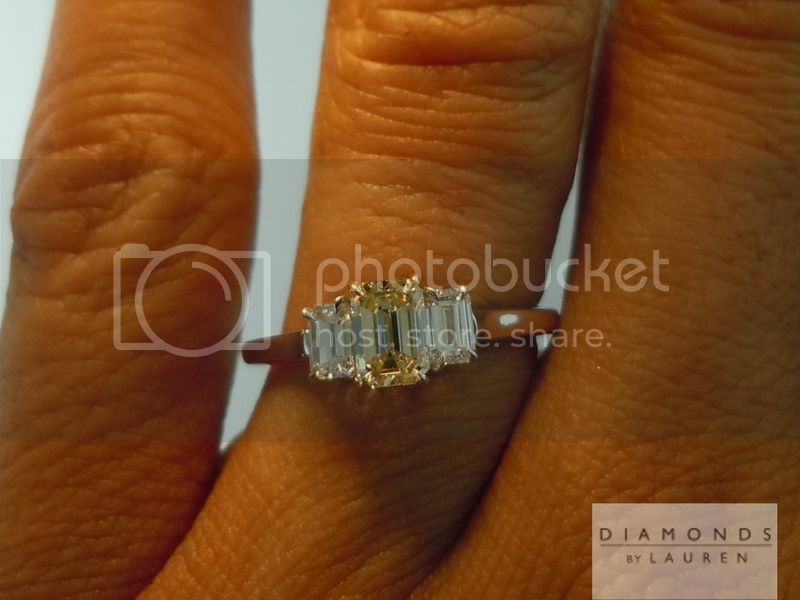 The Emerald Cut side diamonds really bring out the yellow color in the center. 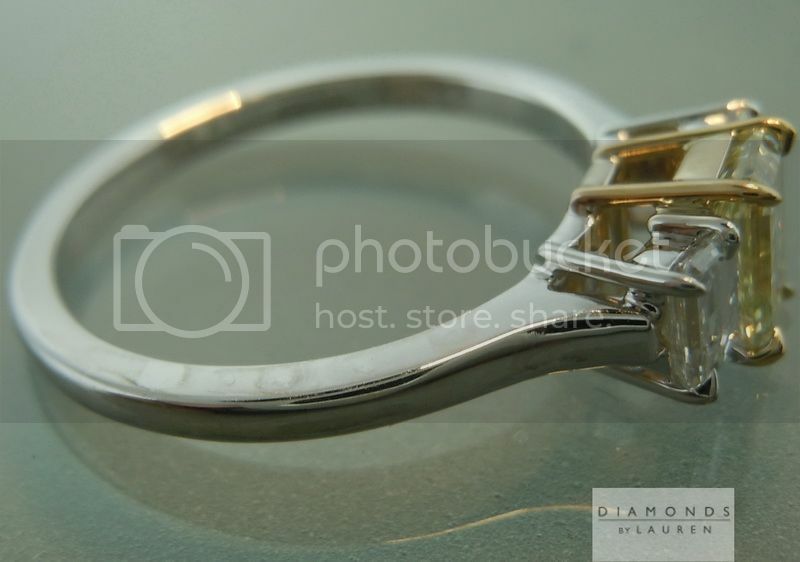 Hand forged model - lovely claw prongs.